I have heard a lot about MABH fast growing hair oil. So I decided to try out this product for my thin and dull hairs and placed the order. On 13th I completed my one month usage and I’m ready with the review now. Let’s have a look at the product first. PRODUCT DESCRIPTION: An unique magical combination of natural herbs and essential oils present in the MABH Fast Growth Hair Oil penetrates deeper into your scalp to provide rich nourishment. It also improves blood circulation, thus resulting in faster hair growth. It also takes care of dandruff, premature greying and rough hair. Our product makes your hair shinier and manageable from the first use itself; it stops hair fall within weeks of regular usage and helps you grow longer beautiful hair! Use twice or thrice a week overnight or 1-2 hours before hair wash.
Massage your scalp for 3-5 minutes after application. The oil can also be used daily and it can be slightly warmed pre-use for better results. MY EXPERIENCE: My hairs are very thin, dull and are not heavy. These are the main three problems I’m going through from very long. I discussed these problems with Lancy and she made me understand and advised to use their MABH Herbals Fast Growth Hair Oil. First I was not in favour of using this oil as it’s very costly but I discussed it with my brother and placed the order. I received my order on 13th September and from 13th itself I started using this oil. I thought to write the review after its one month usage and on this 13th I completed the usage period of 1 month. And believe me I could experience the changes in my hairs in a positive direction. This oil reduced my hair fall problem and made my hairs thick too. Packaging: It comes in a transparent plastic bottle with a green cap. On both the sides of the packaging you can read all the details about the product. However, I find that it can be improved as it is not travel friendly. Texture & Consistency: Texture is nice and smooth. Consistency is mild and don’t feel sticky on your scalp. It is very light weight and not heavy when applied. Price: It is expensive if we compare it with the quantity but is really worth buying. Fragrance: Mild fragrance which will not annoy your nose. 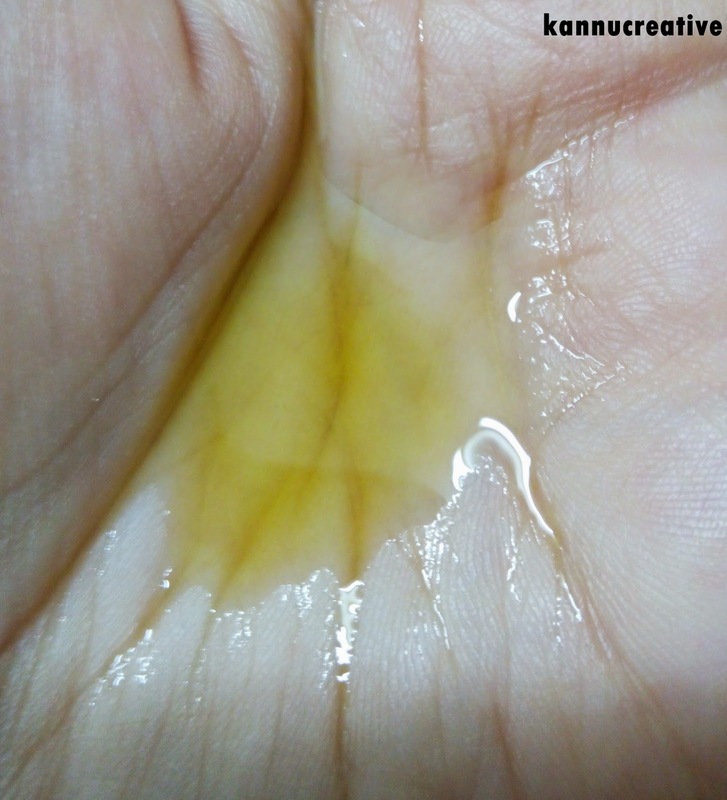 Oil color: Mix of yellow and green hues. One month journey: Before I start writing about my one month journey, I’d like to tell you that this oil is been used by my brother too, lol. It worked for him very well. Or I should say that my brother is facing many hair problems, that’s why we ordered it. Now for my journey, when I started using it I was not happy but with regular usage I got impressed. It had made my hairs thick and healthy. It has reduced my fair fall and dandruff problems too. But yes only in one month, it didn’t worked for hair growth but I guess which is possibly fine. Within one month no oil helps to grow hairs faster. So I guess with regular usage it’ll help in growing hairs. I have decided to write my journey after completion of every month to check the results. In short, I loved the results and looking forward to see more positive signs. BEFORE & AFTER PICTURES: On the left are the before pictures where I have not applied the oil. 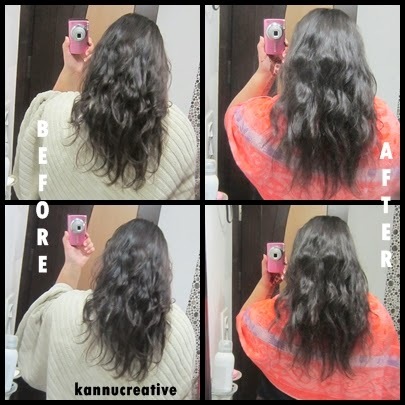 On the right side are the pictures taken after one month usage of this hair oil. FINAL VERDICT: This is perfect hair oil that you must use. This product really works great and solves every possible hairs related problem. I’d highly recommend you this hair oil if you want to have silky, healthy, thick and long hairs. 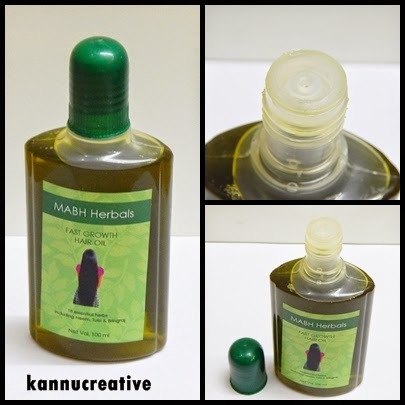 Have you tried MABH Herbals Fast Growth Hair Oil? If yes, do share your experience and views with me in the comment section below. If no, would you like to try MABH Herbals Fast Growth Hair Oil? Disclaimer: I purchased all the items with my own money. This post is not way sponsored by any brand. I am quite impressed with this oil after reading your review. Yeah but it is a little pricey.